At FC Barcelona, attention is now fully focused on the Copa del Rey and Thursday night’s round of 16 second leg at home to Celta Vigo, where everything is hanging in the air after the first leg at Balaídos ended one apiece (kick off 9.30pm CET – TICKETS HERE). 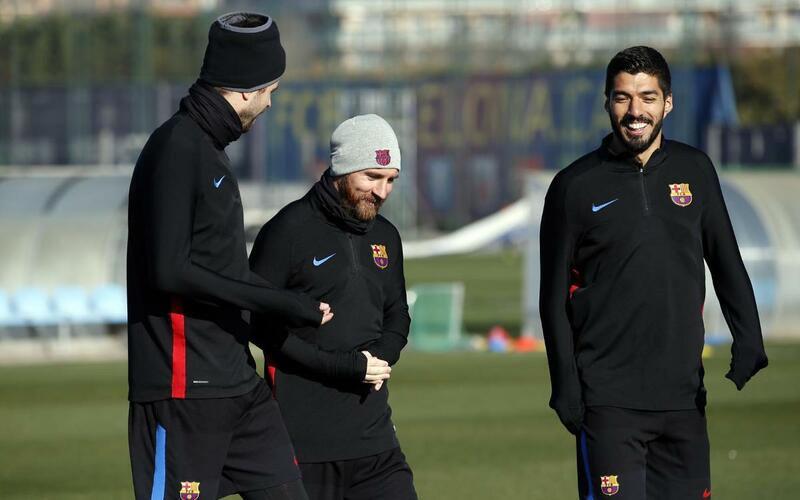 For the first leg, Ernesto Valverde opted to rest key players like Leo Messi and Luis Suárez, who had only just returned from their Christmas holiday, but both the South American strikers are in the squad of 19 that he named after training on Wednesday evening. Samuel Umtiti, Paco Alcácer and new signing Philippe Coutinho are all forced absentees, while the FCB coach has also decided to leave out Denis Suárez, Arda Turan, Rafinha, Deulofeu and Aleix Vidal. The full squad is therefore as follows: Ter Stegen, Nelson Semedo, Gerard Piqué, Ivan Rakitic, Sergio Busquets, Andrés Iniesta, Luis Suárez, Leo Messi, Ousmane Dembélé, Jasper Cillessen, Javier Mascherano, Paulinho, Jordi Alba, Lucas Digne, Sergi Roberto, André Gomes, Thomas Vermaelen, Carles Aleñá (26) and Jose Arnaiz (37), the latter two on that list of course being drafted in from Barça B. Another member of the reserves, goalkeeper Alberto Varo, also featured in the last workout before the Celta match, with Arda Turan doing separate exercises to the rest of the group.